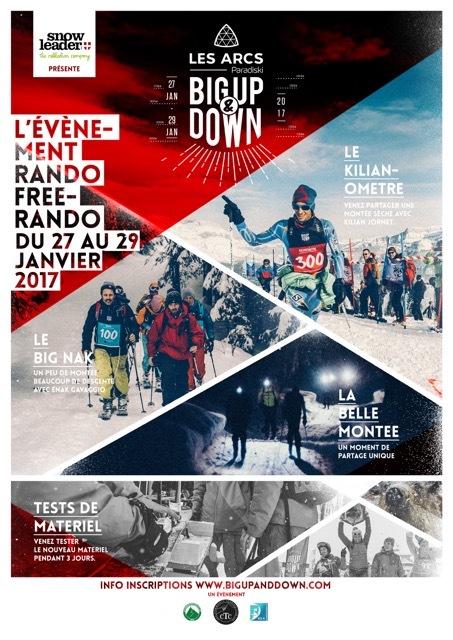 For its 2nd appearance in les Arcs, the Big Up & Down will be set up on the Arc 1800 snow frontfrom 27 to 29 January 2017. On the agenda for this long weekend: ski touring with everyone bringing their own ability and wishes with the aim of sharing and enjoying themselves! This year, part of the programme will be “Girls Only” and dedicated to girls who want an introduction to ski touring or who want to hone their skills, all supervised by champions in the sport who are happy to share their passion.